You can take your car across from Dublin to Holyhead and enjoy a short stay from only €204 car + 2 people return*. This allows fans to travel across the Irish Sea together and return up to 36 hours later after hopefully celebrating Munster’s win. In a recent price comparison carried out by Stena Line, two people travelling from Dublin to closest airport to Coventry; Birmingham, would have to pay anything from €385.96 return with only standard hand baggage allowance. Not only does Stena Line’s short stay offer return crossings to Britain, you can pack as much luggage as your car can hold! “Munster fans across Ireland will be making the exciting trip to the Ricoh Arena in Coventry to cheer on Munster Rugby as they represent Ireland when they play Saracens in the Champions Cup Semi-Final,” said Diane. 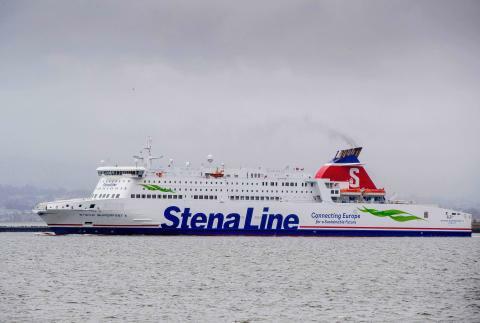 “Travelling with Stena Line not only provides a cost-effective method of travel but an enjoyable one also. With plenty of space to walk around or relax in the bar and restaurant whilst chatting to friends and other fans, sailing to the match with Stena Line really is the best way to go,” Diane continued. Passengers who choose Stena Line can also take advantage of quick and simple check-in and excellent facilities as soon as they step on board, including free onboard movies, free Wi-Fi, wonderful dining and bar options with great value meals deals, and an onboard shop, offering up to 50% savings compared to the high street. MEDIA ENQUIRIES: For further information, please contact Ciara Kinkead of Duffy Rafferty Communications on +44 (0) 28 9073 0880. *Terms and conditions apply. Subject to availability. Cost is from €204 per car and 2 passengers to spend up to 36 hours in Britain. The savings and price comparison details were correct as of 04.04.19.